For your information, I am an absolute fans of Mamonde, not only trying out products they deliver but I do purchase some products on my own. I sincerely feel that their products are really good and all the skincare range use flowers as key ingredients! Today, we gonna talk about Hibiscus flower - our national flower. Do you know that Hibiscus flower can be consumed as tea? It brings a lot of health benefits that it helps lowering blood pressure and body BMI, reducing bad cholesterol. Apart from the health benefits, Hibiscus flower is known as 'Botox Plant' too. It helps exfoliating, firming, lifting and moisturizing the skin. In the Advanced Moisture Ceramide range, Mamonde has utilizes the benefits of Hibiscus flower, combines Hibiscus CeramidePlus, that provides utmost hydration to the skin while strengthening the skin's barrier, protecting skin againts external harmful factors like UV and pollutants. 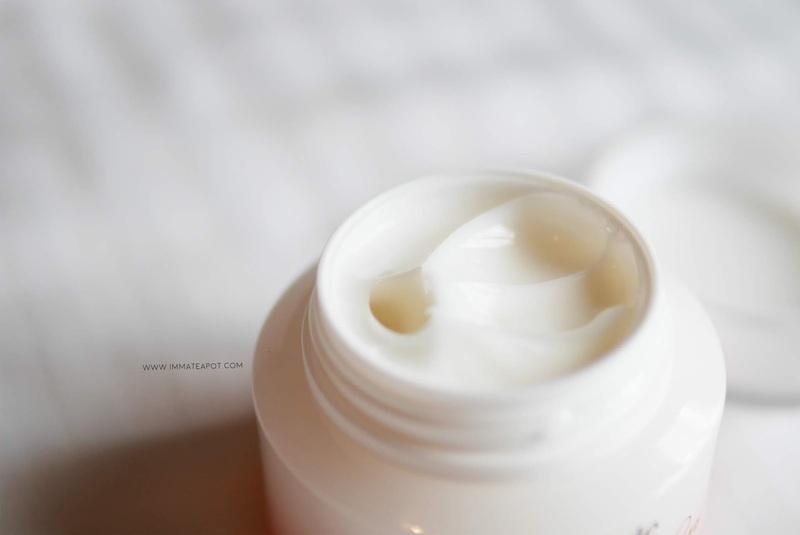 In this post, I will be trying out the Moisture Ceramide Light Cream. The texture is pretty light in white cream form. It is super easy to spread out on the skin and absorb into the skin within seconds. It comes with a light, refreshing citrus scent, a little floral aroma. I am quite surprise that the cream penetrates into the skin super fast during the application. It doesn't leave any sticky or greasy feeling on the skin, but a skin-light coating on the skin, which is moisture and hydrated. 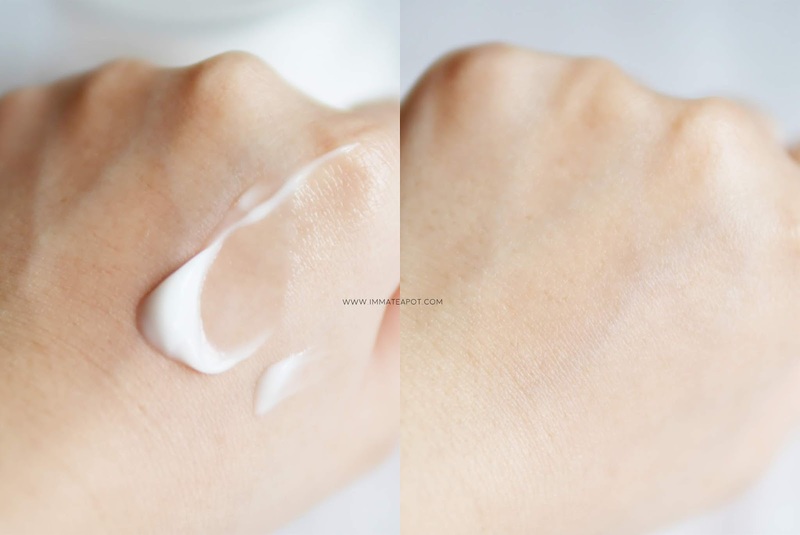 It like how it feels on the skin, super light, leaving my skin soft, moist, with little touch of healthy glow. This Moisture Ceramide Light Cream is just a perfect item for those who doesn't love heavy and intense cream, but a quick fix moisturizer. It is so lightweight and it does a good job in daily hydration. 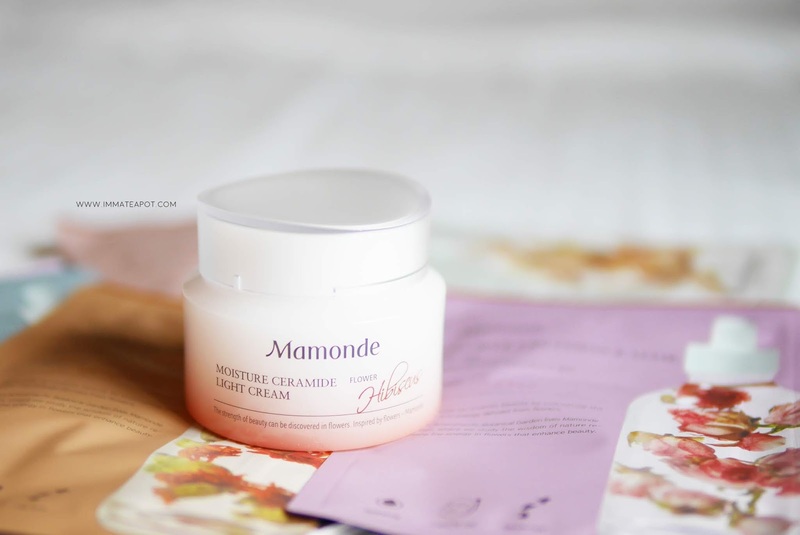 The Mamonde Moisture Ceramide range is available in all Mamonde counter.